Carson Sink as viewed from Topog Peak. The Carson Sink Case is a UFO incident alleged by John L. McGinn and John R. Barton, two United States Air Force Colonels, to have taken place near Carson Sink in western Nevada in the United States while they were en route from California to Colorado in a B-25 on July 24, 1952. Both colonels worked at the Pentagon at the time with assignments that would have made them very familiar with military aircraft of the era, both domestic and foreign. The aircraft were also reported as being seen by hundreds of residents. A B-25 flying over Poland. On July 24, 1952, two Air Force colonels requisitioned a twin-engine B-25 bomber at Hamilton Field north of San Francisco for a flight to Colorado Springs, Colorado. At 3:40 P.M. Mountain Time, while flying at 11,000 feet (3,400 m) with a speed of 180 knots (330 km/h) over Carson Sink, the two pilots saw three unknown aircraft ahead of them and to their right. At first, the two thought the aircraft were F-86 jets but determined that the aircraft were flying too high for that to be the case. On top of this, the pilots reported the aircraft to be flying in a V-formation, which was abnormal for military aircraft at the time. Within seconds, the aircraft had come close enough to the B-25 that the pilots could determine the unidentified aircraft to be bright silver, delta wing aircraft that were lacking tails and pilot's canopies. The colonels also reported that the aircraft had a ridge that ran from nose to tail. 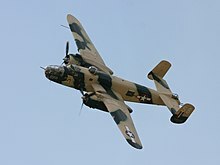 The aircraft then made a sharp left turn, passing within 800 yards (730 m) of the B-25 before flying off in what the pilots estimated to be a speed that was three-times the speed of an F-86, placing them out of sight within four seconds. Upon landing in Colorado Springs, the pilots reported the incident to Air Defense Command headquarters, who told them that no civilian or military aircraft had been anywhere near Carson Sink at the time they were passing over the area. The closest known delta wing aircraft were on the West Coast at the time. On top of this, the Navy aircraft were painted to be dark blue. Air Defense Command reported the incident to Project Blue Book, but it remained unexplained. In his subsequent book, The Report on Unidentified Flying Objects, Edward Ruppelt characterized it as a "good UFO report with an unknown conclusion". Both pilots continued to dismiss the idea that the aircraft were F-86s. The investigation also looked into balloons, both weather balloons and research balloons that can be up to 100 feet (30 m) wide, but there were no known balloons in the area, either. Both of the pilots had friends who themselves had reported flying saucers. McGinn and Barton expressed skepticism of these reports previous to the incident, but upon being interviewed in Colorado Springs they reported they had changed their opinions. ^ a b c d "Carson Sink UFO". Retrieved 2 February 2018. ^ "The Paranormal Phenomena – Michael Hur". Retrieved 2 February 2018. ^ "24 Jul 1952 – Sarson Sink, Nevada, USA". Retrieved 2 February 2018. ^ a b "Carson Sink Case". Retrieved 2 February 2018. ^ Edward Ruppelt (1 March 2007). The Report on Unidentified Flying Objects. Echo Library. pp. 15–. ISBN 978-1-4068-4084-1. Retrieved 25 October 2011. This page was last edited on 20 September 2018, at 10:38 (UTC).